Hi again, I hope you are having a great weekend just like me. Today we will talk a bit about dental implants. 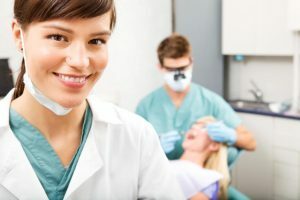 As they are the most popular option for patients who wants a permanent solution for tooth loss I want to fill you in with some useful information. The first thing you have to know is what exactly is a dental implant and how it works. So let’s not waste more time and jump right into it. Dental implants took the dental industry by storm. This is thanks to the fact that patien ts can replace a missing tooth or the whole denture. The practice and utility of dental implants have improved over the years, they can support crowns, bridges and even denture. The more time and technology advances, the less implants a patient needs to smile again. Just like the All on 4 treatment from Nobel Biocare, which you can find a great price here in Dental Solutions Los Algodones. This procedure uses 4 implants to support a full denture per arch. This reduces the cost of a full new set of teeth, saving the patient lots of time and money. Returning to our topic for today, dental implants are really awesome. Basically the way the work is that the dentist uses a special post, that it is screwed into the patient’s jawbone. Over this post, the patient can choose to put a crown or a bridge depending on it needs. Like I said before it can even support dentures, you only need to evaluate your options with you dentist. Sadly not every patient can opt for this treatment. To determinate if a person is eligible the dentist will use a CT scan to see how the patient bone structure is. If the jawbone has enough bone and strength to hold up the implant then he can begin the procedure can begin right away. It is important to not skip this step because is the only way to make sure the implant is going to work. But you may be thinking what if the patient does not have enough strength in their jawbone? Well, there is a solution for everything, so it is not the end of the world. In case the patient can’t hold up the dental implant on its own, then a bonegraft is necessary to do the trick. Bonegraft is a cool procedure used in many medical procedures. The objective is to fill up bone deficiency in some areas. The dentist graft the bone from the same jaw or some other place and fill the socket where the implant is going to be installed. After some healing time, usually 6 to 8 months the implant can be placed with no problem at all. If you are worried that the procedure is painfully, the answer is no. During all the length of the procedure of bonefraft the p atient will be sedated the whole time. It can be local anesthesia or sedation if the patient prefer to be asleep. Dental Solutions in Los Algodones always bring a special anesthesiologist so the patient can just realx and expect only quality service. With this the patient can rest sure that he or she can get a dental implant. Well with this you already know what are the circumstances and the importance of the bonegraft. It is really nice to know and see how a simple procedure can make a patient smile again. You could say that bonegraft can save the day. I hope you learned a lot today and enjoyed the article. See you next week!